Coin developers put their hopes in the asset class’s price stability. RAPAPORT... Somewhere between the volatility of cryptocurrencies and the stability of diamond prices lies an opportunity for investors. That is, at least, what several new initiatives to create diamond-backed crypto-coins are betting on. In fact, developers of these coins, or “tokens,” are confident the asset class will offer a solution to challenges facing both the crypto market and the diamond trade. “Most cryptocurrencies are a poor store of value and a poor means of exchange, giving rise to a need for a more secure alternative,” asserts Hogi Hyun, founder and director of Singapore-based company D1 Mint, which has developed the D1 coin. “Diamonds are an ideal asset backing for a token, since they are rare, have a history as a recognized store of value, and are small and therefore easily stored and transported,” he explains. Investing in diamonds has not always been easy for the man on the street, he explains, given the bid-ask spread — the difference between a reseller’s desired price and what the buyer is willing to pay. If you buy a diamond and try to sell it to a retail store or a trader, chances are good they’ll make an offer at a discount of 10% to 30%, according to Hyun. However, the bid-ask spread in a cryptocurrency is usually less than 1%, he says, meaning it’s easier to recoup your original investment. Eli Avidar, president of Israel-based Carats.io, points out that coins like his company’s CARAT token provide a safe and efficient means of investing in diamonds, but without the need to purchase an actual gem or have an in-depth grasp of the market. What’s the difference between an asset-backed token and a traditional cryptocurrency like Bitcoin? Hyun likens the former to the once-prevalent gold standard, whereby currencies were linked to the value of the yellow metal. Buying a diamond-backed coin gives one ownership over a fraction of a diamond. If you have enough coins, you can exchange it for an actual stone: D1 and Carats.io keep an inventory of goods that underpin the stability of their respective coins. In contrast, Bitcoin is more like a dollar issued by a central bank. When printing money, the bank doesn’t have to hold tons of gold, notes Hyun; we just have to believe the dollar is worth a dollar. D1, which recently launched private sales of its token and will soon open it to the public, has partnered with Hong Kong-based manufacturer KGK Group, which has agreed to supply $20 million worth of polished diamonds from Alrosa-mined rough. The cryptocurrency firm also sources goods from Russian manufacturer Kristall and is looking to expand its supply. At $10 a token, if D1 issues 1,000 coins, that’s $10,000 it can use to buy, for example, a 1-carat diamond from KGK. The stone is then sent to the Gemological Institute of America (GIA) for grading and laser inscription, returning afterward in a tamper-proof package for storage in D1’s vaults. The narrow group of suppliers also makes it easier for D1 to trace its diamonds. It uses a “very simple linear provenance for tracking the stones, secured by blockchain,” according to Hyun. Carats.io, too, has several suppliers for the diamonds that back its token. The company, which debuted the CARAT recently on the Hotbit digital exchange, has signed a deal to source goods through the IDEX trading platform and intends to pen agreements with other trading platforms, Avidar reports. Carats.io has also developed a price index to which the value of the coin is linked. As with D1, the goods themselves are registered in a blockchain, allowing the diamonds to change hands securely. Given the amount of inventory required to back the coin, Avidar believes demand for the tokens will help expand the diamond market — especially as the coins’ value increases along with diamond prices and demand for the tokens. Beyond simple trading, he foresees other uses for the coins — for instance, as security for loans. Carats.io recently signed an agreement to that effect with Celsius, which provides banking services for the crypto community. Under the deal, Celsius would offer credit and accept the CARAT as collateral. Carats.io has also partnered with a Chinese jewelry wholesaler that will now let customers pay in CARATs. Of course, the D1 and CARAT aren’t the only diamond-backed currencies being marketed; other players include Hello Diamonds and CEDEX. And while these are all still at relatively early stages, they’re coming at a time when asset-backed tokens in general are garnering interest in the crypto space. 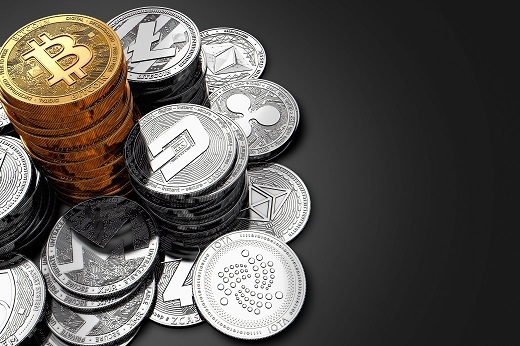 In an April article for the Invest in Blockchain publication, analyst Daniel Frumkin predicted such coins could play a useful role in the cryptocurrency market, even though the mechanisms that keep values pegged to the underlying assets are complex and the technology still unproven. Besides diamonds, favored backers include gold and real estate. This article first appeared in the December issue of Rapaport Magazine.